Do you need room? Room to relax, room to wander, room to explore? 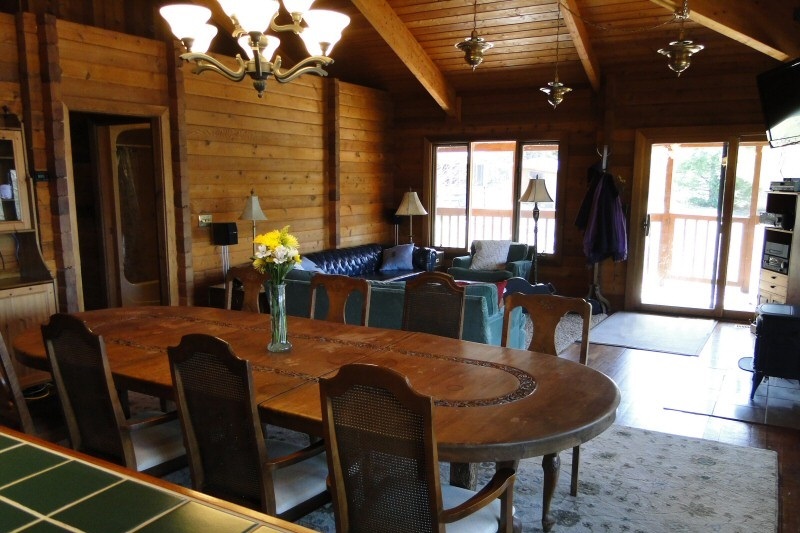 Look no further - Forest Haven is one of the largest properties you will find available for rental anywhere. 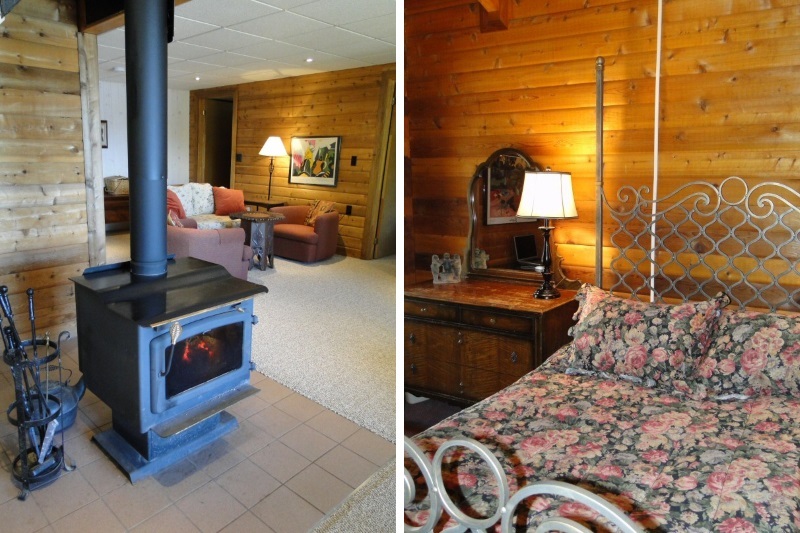 Boasting 64 acres of forests, trails, ponds and creeks as well as a lovely 6-bedroom log cottage complete with modern amenities, this cottage is entirely unique in its offerings. 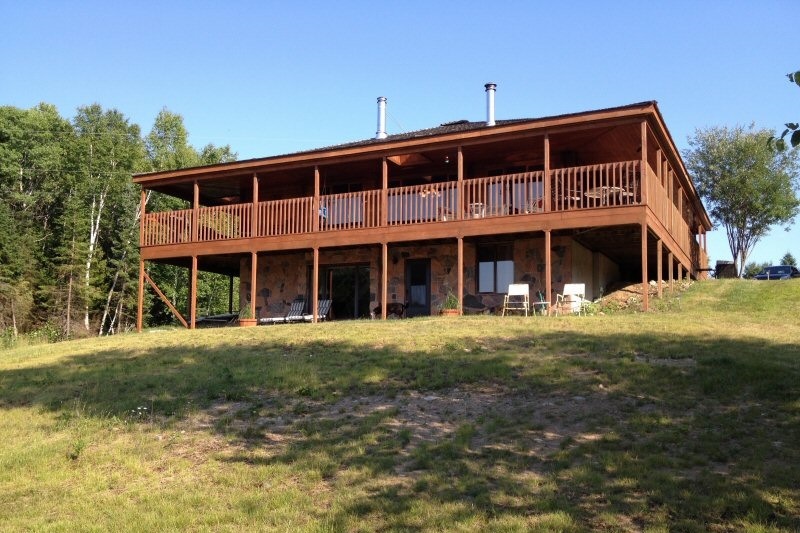 Forest Haven is located on Groom Lake near Kearney, just north of Huntsville. Groom Lake is a quiet lake with just a few cottages. There is so much to explore here. 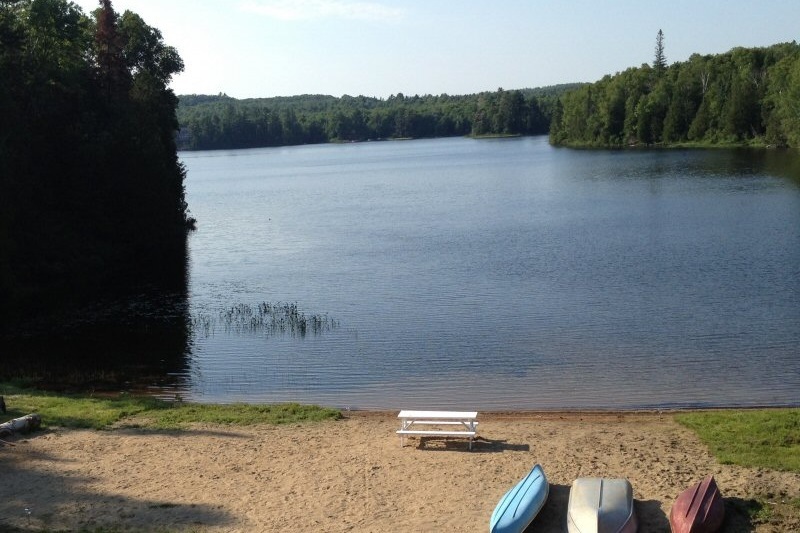 The lake sprawls out in front of the cottage, beckoning you to swim or canoe in its clear waters. The entry to the water is sandy and shallow, great for younger children and non-swimmers. 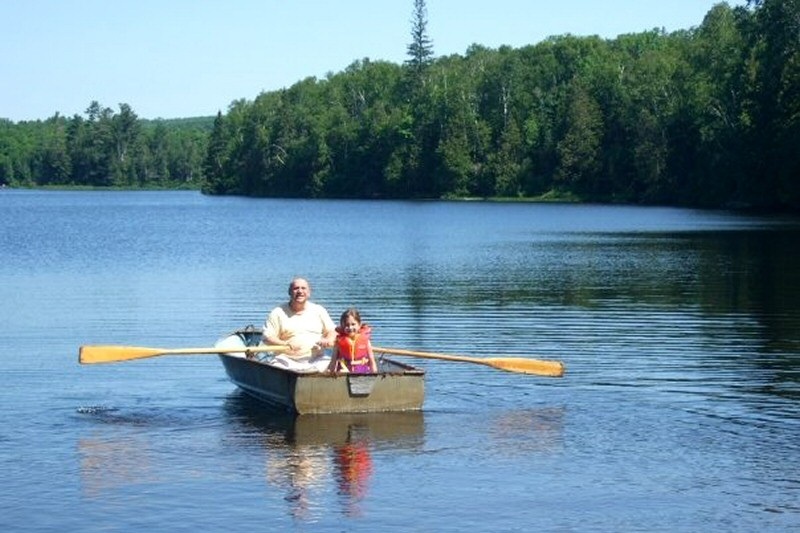 You have your own private bay to fish, boat and explore. A number of trails wind their way through the property. There are places on the property that many of the family members have not even explored, but don't worry - there are trails for those who don't necessarily want to be pioneers. Take your camera and binoculars and tread lightly and you may see a wide variety of wildlife. 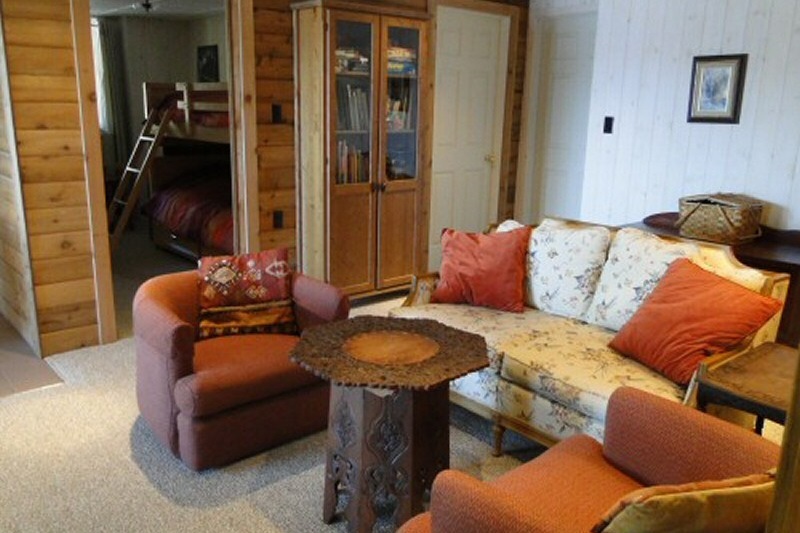 Inside the cottage, you will be comfortable everywhere you go. 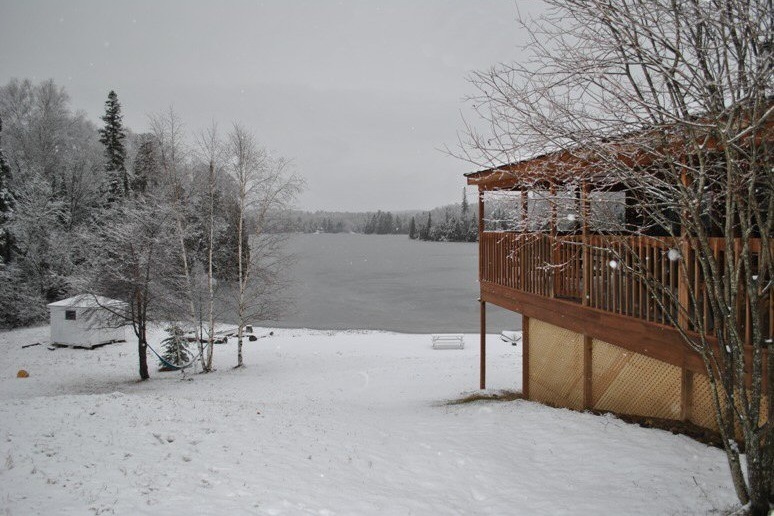 The main level is fashioned with timbers that give the cottage a feeling of a time long past, but boasts amenities that reflect the present. A kitchen with modern brushed steel appliances will suit the family cook just fine, and the requisite barbeque awaits you on the deck as well. 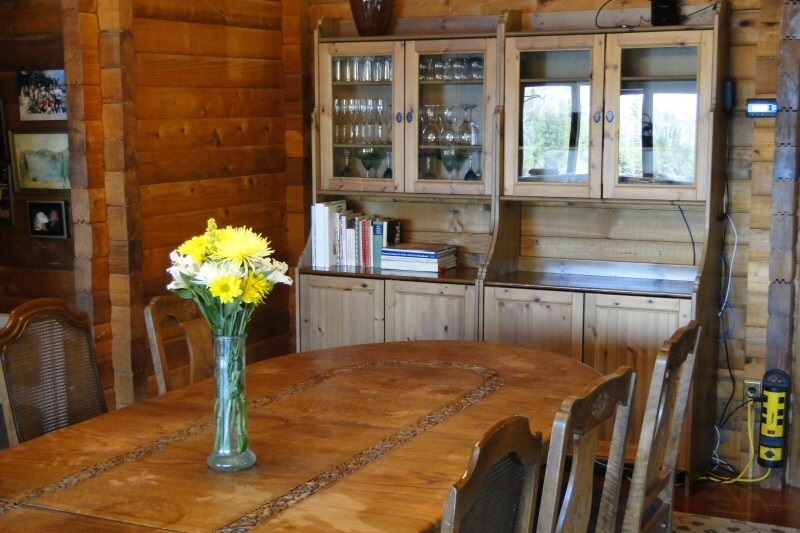 An elegant antique dining table will have you wanting to share formal sit-down meals with everyone in your group. There is plenty of seating on the main level, with a wall mounted TV with satellite cable plus a library with hundreds (if not thousands) of movies, which can be watched on the TV or streamed to any wireless device you may have! 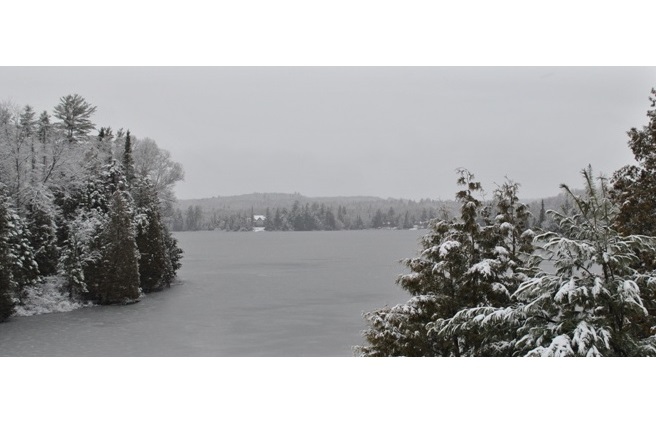 A wood stove is here as well should the nights turn cool or if you are at the cottage in cooler weather. 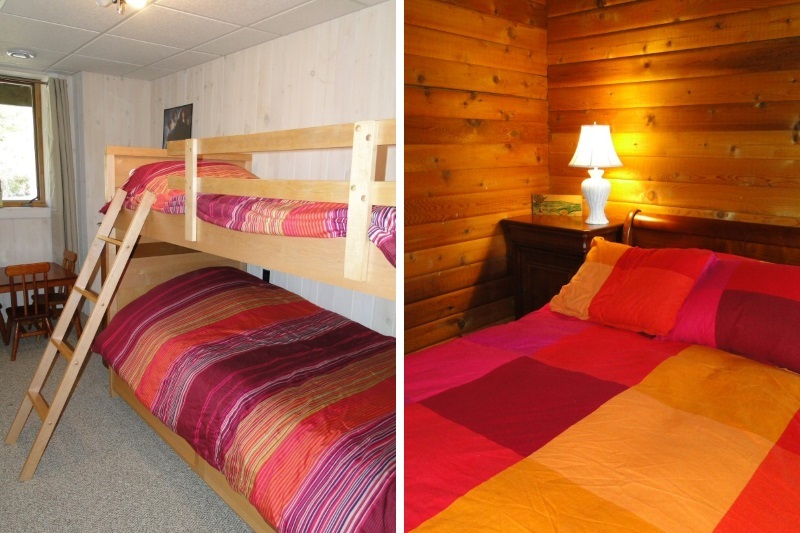 On the main level, there are three bedrooms and two bathrooms, one with a 4-piece and one with a 3-piece. 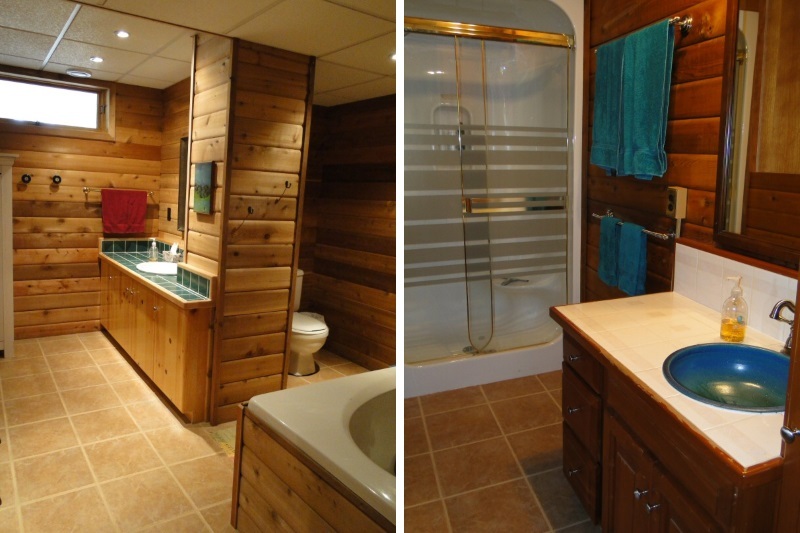 The master bedroom has a private 3-piece bath area while the common bath is a 4-piece with tub & shower. Downstairs, there is a generous sized bathroom complete with a jet-tub. This lower walkout level has three bedrooms along with a large common area. 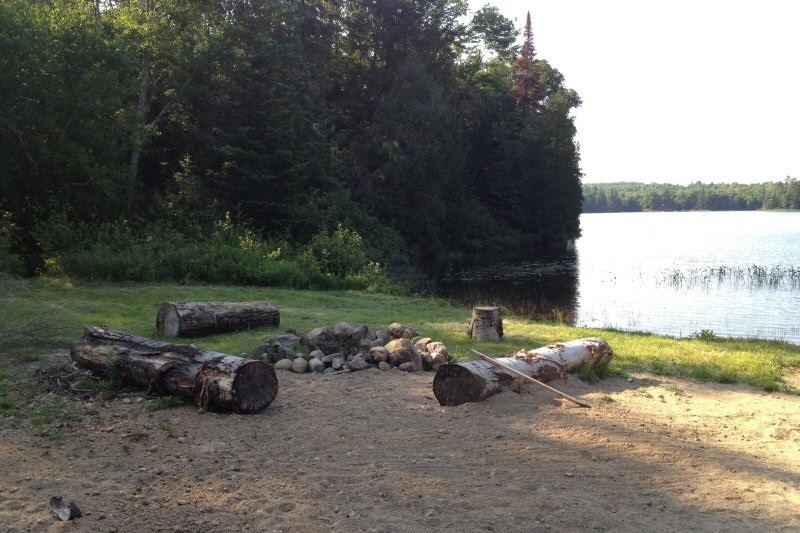 Here there is a second wood stove if needed and another beautiful view of the lake. There is a lot to do in all seasons. 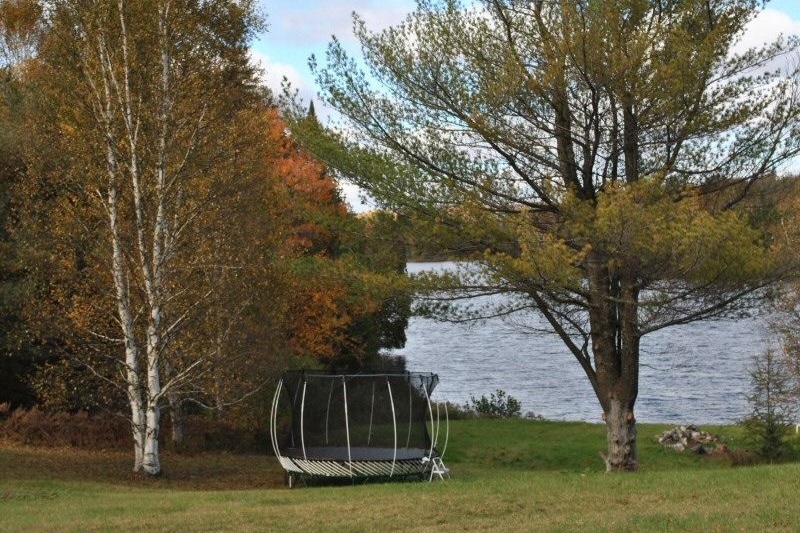 Canoes, rowboat, windsurfer, trampoline, snowshoes and a deck that wraps around the entire cottage will delight those looking for both active and sedentary pursuits. 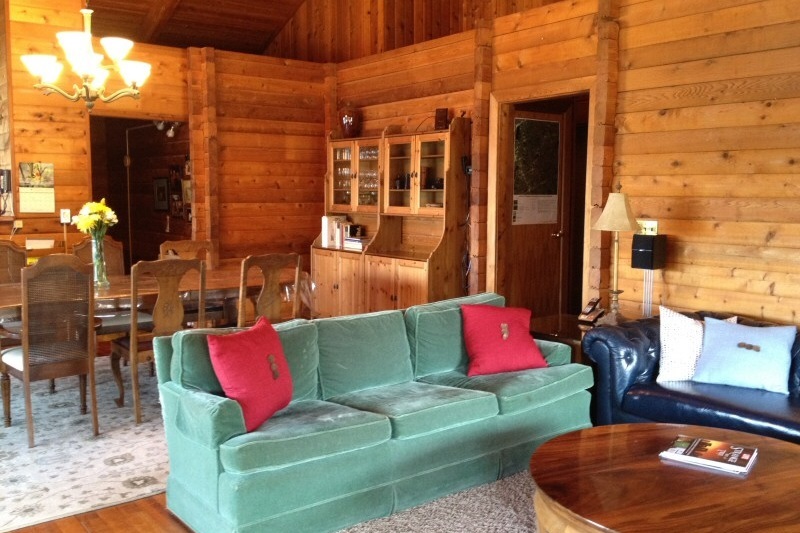 Forest Haven is for those who really want to get away from it all but if you need to connect with civilization WIFI is included. 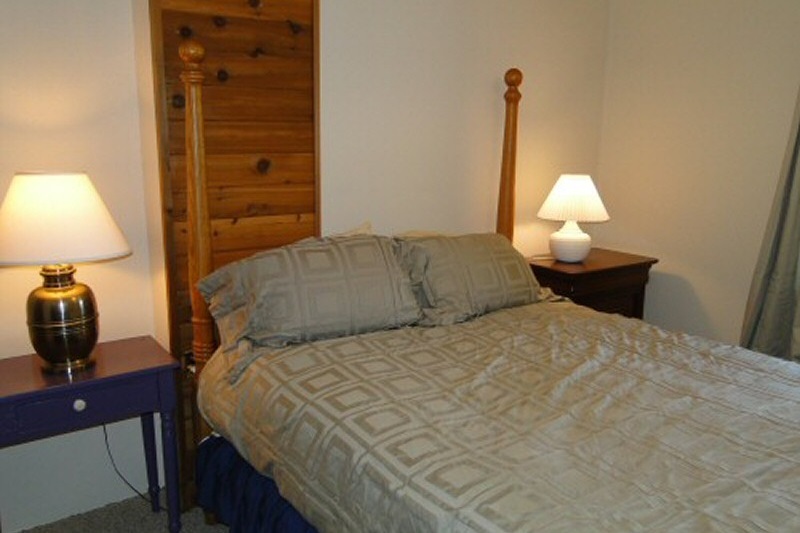 The town of Kearney is just a few minutes away and provides the basics you might require. 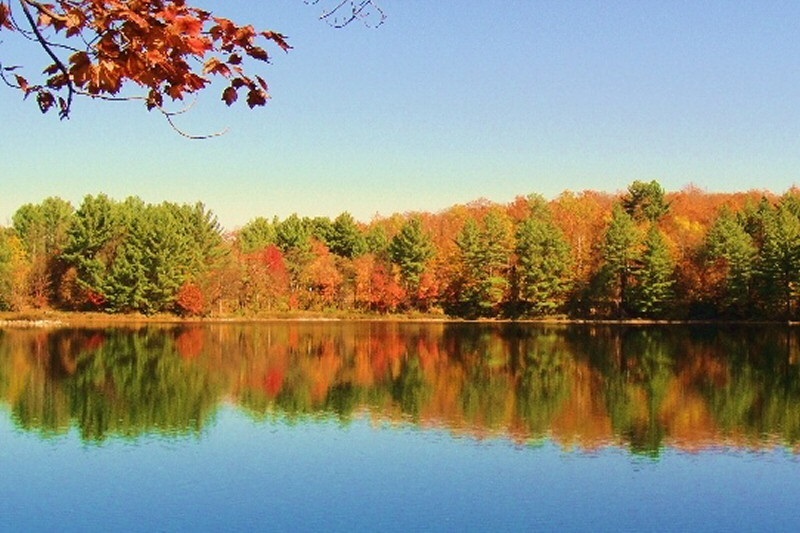 Further afield, Burks Falls (about 22 km) offers some mom-and-pop restaurants and some shopping while the town of Huntsville (about 35 km) has all the stores and restaurants that a larger center offers as well as a number of attractions. Forest Haven is unique, varied and vast. A place where dreams come true! 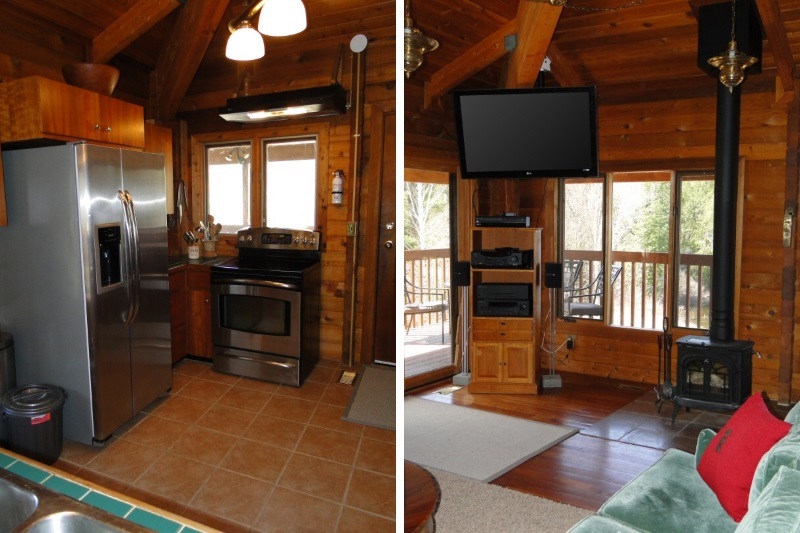 Due to this cottage's varied pricing, the web site may overquote you when you book online. 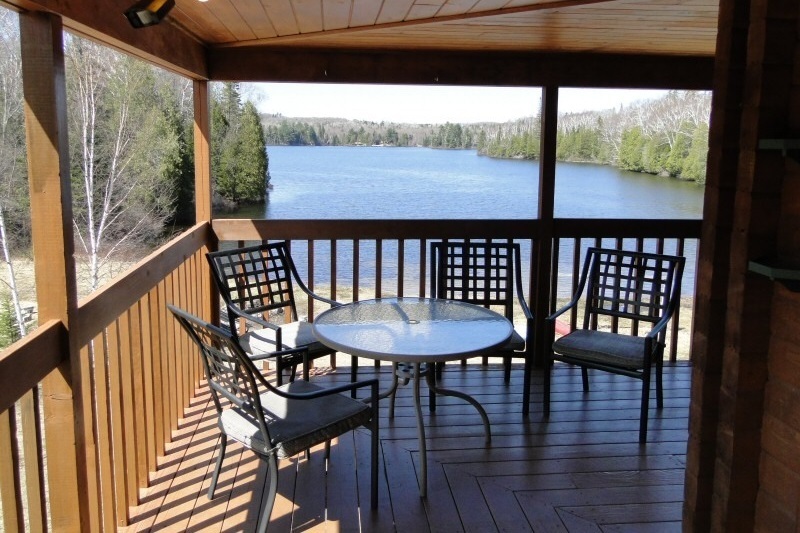 Please contact us via "Inquire About This Cottage" in the upper right of this page to receive a firm quote. 3 night mid-week special in low season only. 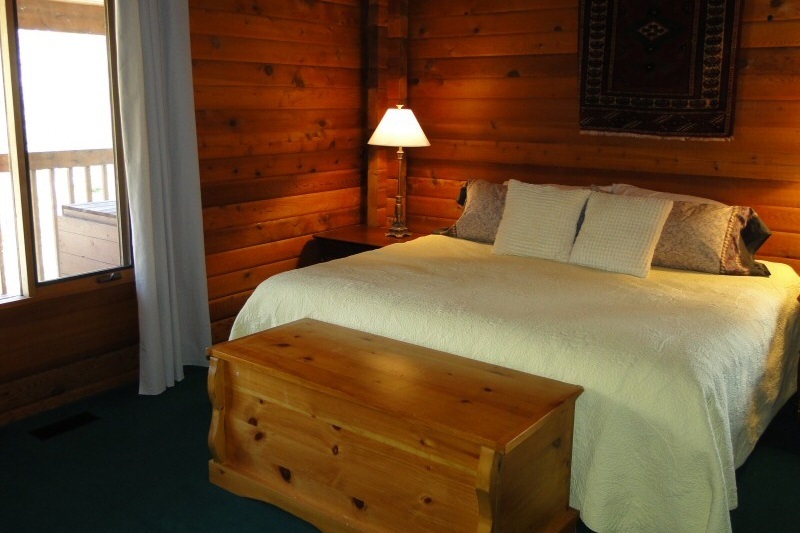 $645 for any three consecutive nights, Mon-Thur! The grass yard extends towards the bay where there is a grassy, sandy beach. Entry is gradual and sandy and you can walk out 50 feet or more. Areas to the left and right of the bay contain some reeds.